Cabo Pulmo is a very small and cozy village located at the “East Cape” of Los Cabos. 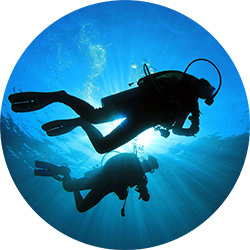 The abundance of marine life attract scuba divers from all over the world. The 20,000 years old reefs at Cabo Pulmo are the northernmost coral reefs in the eastern Pacific. The finger shaped reef of Cabo Pulmo run parallel to the coast and the Mexican President, Ernesto Zedillo, declared the area surrounding Cabo Pulmo, a National Marine Park on June 5, 1995 and therefore laid the groundwork for marine protection. First of all, Cabo Pulmo is a very small and cozy village located at the “East Cape” of Los Cabos. In addition to the huge abundance of marine life, makes this magical place unique. Therefore attracts scuba divers from all over the world. The scuba diving reef of Cabo Pulmo is thought to be 20,000 years old while being the most northern coral reef in the eastern Pacific. Since the finger shaped reef of Cabo Pulmo runs parallel to the coast the dive sites are fairly shallow, therefore attract some beautiful marine life.. 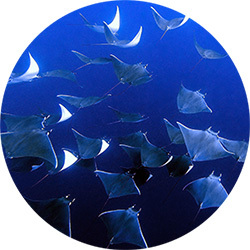 The Mexican President, Ernesto Zedillo, declared the area surrounding Cabo Pulmo to be a National Marine Park on June 5, 1995. As a result, marine life was allowed to flourish. 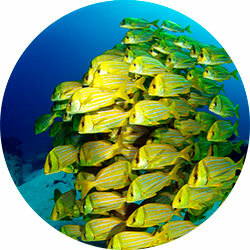 There are more than 10 beautiful scuba diving and snorkeling sites in Cabo Pulmo marine reserve. Therefore, scuba divers often dive with large schools of fish like big eye jacks, snappers, pork fish in addition to several types of rays. In addition there are incredibly large groupers, the occasional bull sharks and also manta rays. We have more than 10 years of experience in scuba diving and snorkeling in Cabo Pulmo because of this we always choose the best dive sites according to the daily conditions. – Weather plays a big factor, due to possible bad weather conditions and if this tour is canceled your deposit will be refunded. – Cabo Pulmo has occasional strong currents, therefore we recommend to do a local 2 tank dive prior to this trip in preparation. – Moorings and anchors are not located in the park, We conduct free descents and on every dive. – Local regulations do not allow gloves and dive knifes. – There is a quota of divers allowed per reef per month and once this limit is reached this reef is closed for the rest of the month. – Maximum dive time of 45 minutes.